These are my favourite 3-ingredients wonders (salt doesn’t really count does it?)! There’s no sweetener at all in these, just simple deliciousness and so much flavour. Roasted pistachios have an amazing taste and when you add in fresh vanilla and a pinch of coarse salt it tastes gorgeously sweet. For anyone cutting out or cutting down on sugar, these are a godsend. There so good even super sweet tooths will be gobbling them up. Roast the pistachios at 180’C for about 8 minutes. Add the pistachios to your food processor and blend until fine. Then scrape in the seeds from the vanilla pod and add a pinch of coarse salt. Blend on high until you have a paste, it should take about 5 minutes. You’re looking for a dry pistachio butter, as soon as it starts to clump together you’ve got it. Add in the desiccated coconut and blend until well combined. 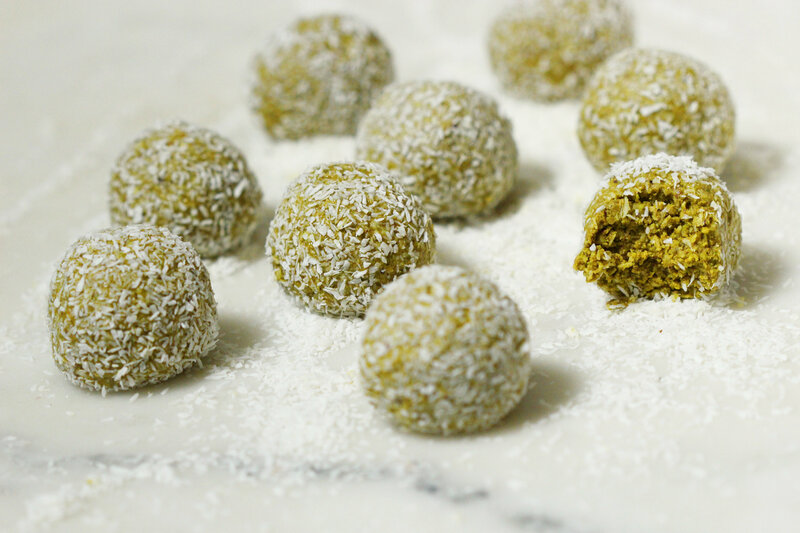 Use your hands to squeeze and roll the mixture into balls. 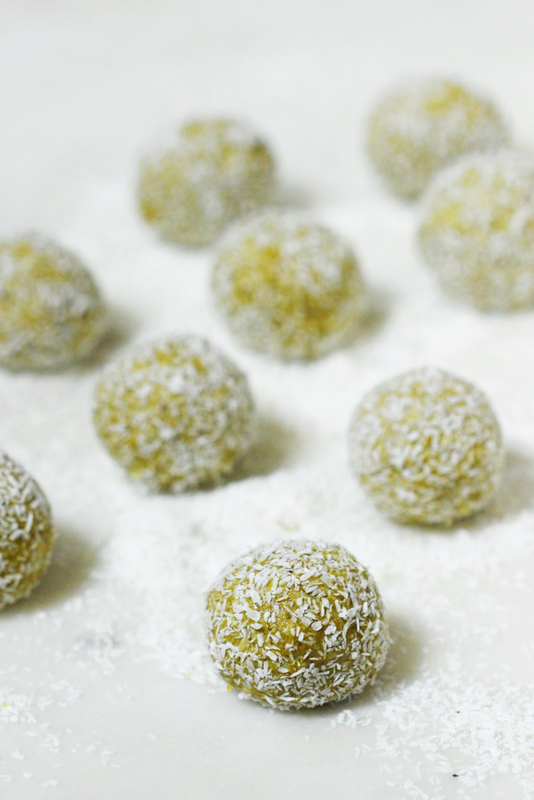 Then roll each ball in desiccated coconut to coat. I was just wondering if you think you could substitute with vanilla essence? Just trying to cut down on the amount of new ingredients I buy! No worries if you wouldn’t know the answer. Where do you buy shelled pistachios in Dublin? I got them in France a few times over the holidays but never seen them here.